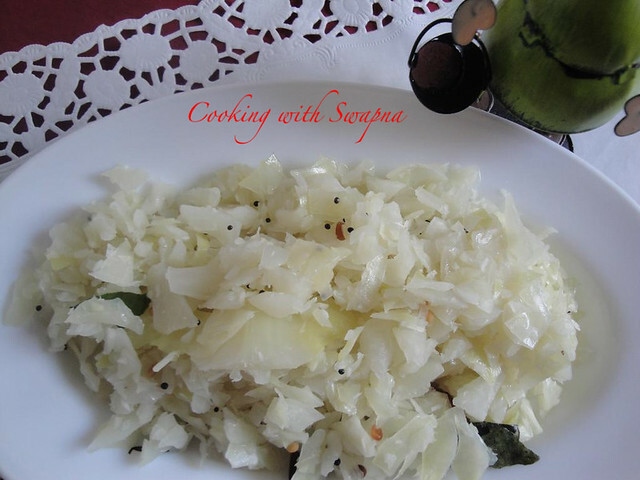 Simple & easy side dish, perfect with rice. 1. 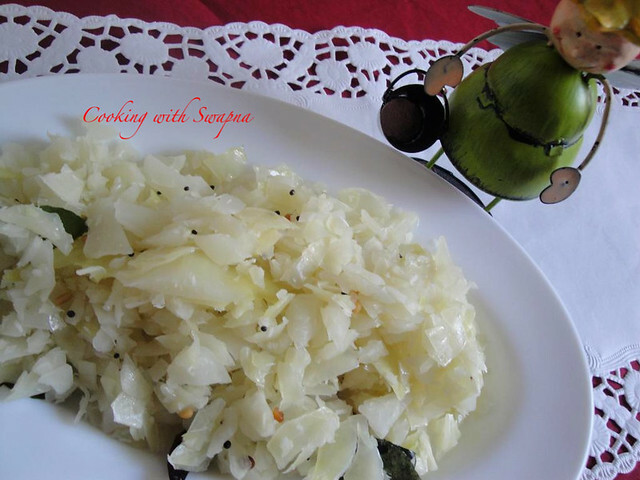 Chop the cabbage and microwave cook for 10 to 12 mins or until done. 2. Meanwhile, heat a tbp of oil in the pan and temper mustard seeds, urad dal, red chillies & curry leaves. 3. 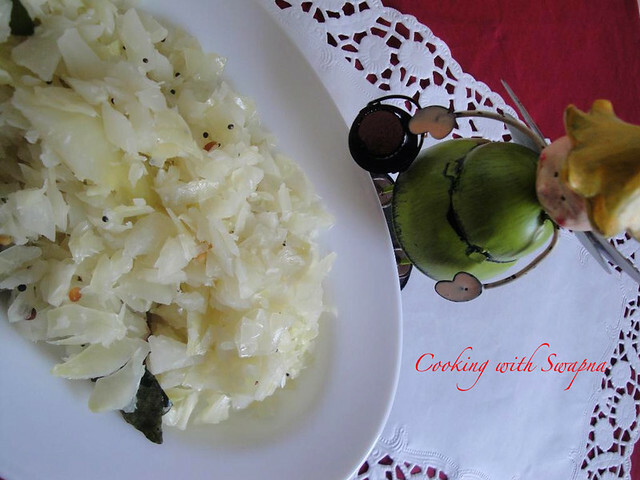 Now add the cooked cabbage to the seasonings & grated coconut. Fry them for 2 mins & add salt as required.